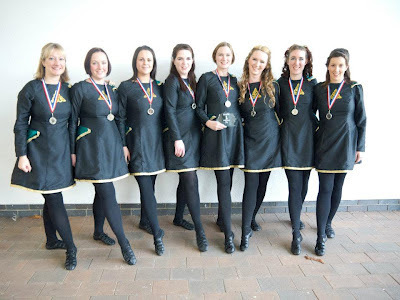 Hopping Mad Scoil Rince na hÉireann in Brighton, United Kingdom is a group of all adult Irish dancers that started in 2010. 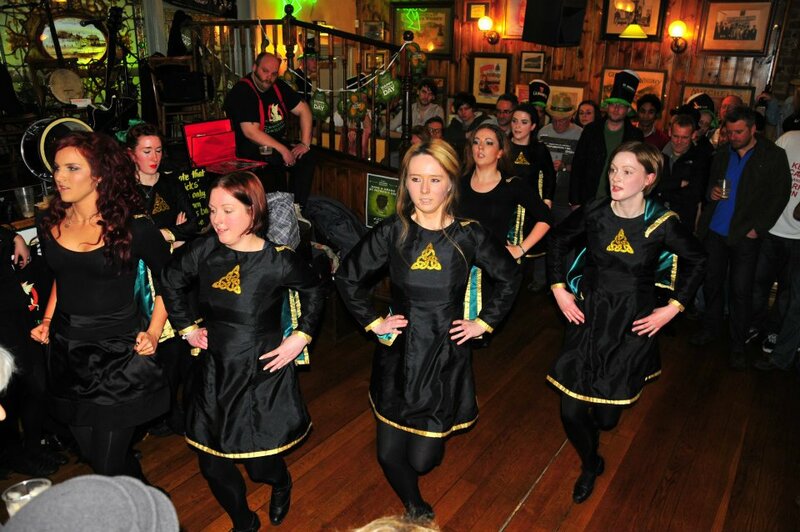 The Hopping Mad dancers vary in age and ability level, but they all share a love of Irish dancing. When Aine McGovern felt out of place in the class she previously participated in, she founded her own group of adult-only Irish dancers, and encouraged the other adults she knew to join. McGovern knew that she could continue to do something she loves as an adult. She says, "I can still move and have tidy feet and good rhythm, so why should I not do something I love?" The group participates in competitions, as well as performances. Wedding and private parties as well as Irish pubs are just a few of the places the ladies have performed. Recently the Hopping Mad dancers participated in the Brighton Fringe Festival. 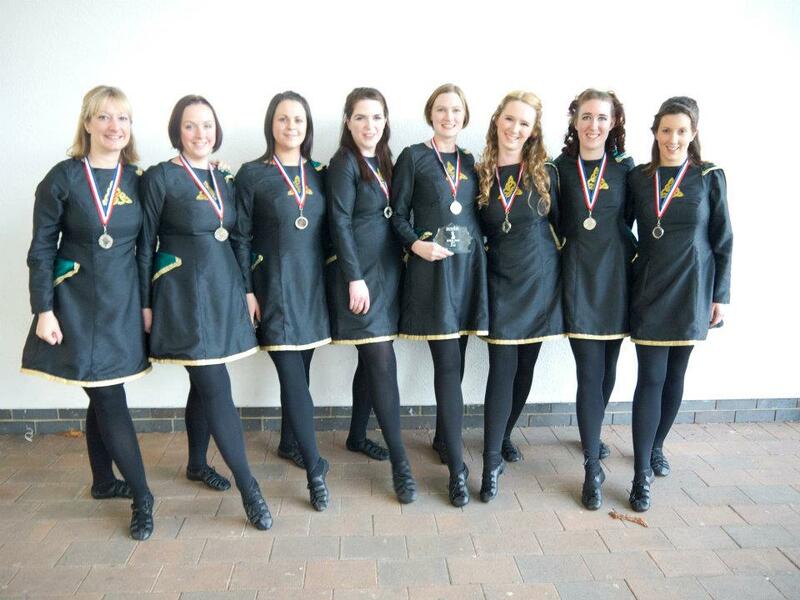 Differences in level and age are a strength for these adult Irish dancers, not a weakness. Two of the Hopping Mad dancers give us their unique perspectives as the youngest and oldest dancers in the group. Joanne Dreaden, age 18, says she hopes to continue to compete through her college years and advance her solo dances. "It's never too late," says Dreaden. "It's fantastic fun, great for keeping you in shape, and allows you to build such good friendships with people you might not otherwise have met at all." In her mid fifties, Rosi Bryer is the oldest dancer in the Hopping Mad group. She is recovering from paralysis as a result of a brain tumor, and attributes her improvement in balance and confidence to being a part of the Irish dance school. "If you love the music, if it moves you, then go for it," Bryer says. "You can do it gently, you don't have to go all out for it. Just have a craic." "Listen to them: They are usually trying their hardest learning a step, as an adult it will take longer to learn something so stick with them. Make dances for them: Some adults are no longer able to lift quite so high off the floor, work with them on this and give them more intricate foot work so they don’t have to jump so much. Take them seriously: There is nothing worse than being ignored or made feel stupid for not remembering the whole step.